Below you can find highlights of some of our most recent research accomplishments. Watch this space for more spotlights on our exciting interdisciplinary research. Research from the i-sense McKendry group at UCL, published in Digital Medicine, reports a pilot clinical study using a shear horizontal surface acoustic wave (SH-SAW) biosensors based on low-cost components found in smartphones to diagnose HIV in 133 patients. Research from Public Health England and members of i-sense at UCL, published in Environmental Research, suggests that monitoring online search terms related to the health impact of heatwaves could help contribute to public health surveillance systems in the UK and have potential benefits for countries that lack established public health surveillance systems. 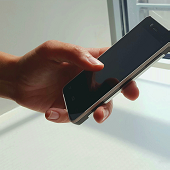 Research from i-sense, published in Scientific Reports, shows promising developments towards a mobile phone-connected diagnostic tool that can detect HIV within seconds. Published in the ACM Library in July 2017, research by members of i-sense at UCL and Glasgow Caledonian University (GCU) looks into widely available online resources that provide information, advice and care for sexually transmitted infections (STIs) such as HIV. 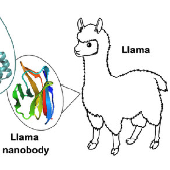 Interdisciplinary research from i-sense at UCL and published in ACS Infectious Diseases in June 2017, explores the potentially important role llamas and their family (camelids) could play in developing tools to detect early stage HIV. i-sense researchers are developing a new way to rapidly detect genetic barcodes for tuberculosis in the blood. BMJ Blogs: How effective is this year's flu vaccine? 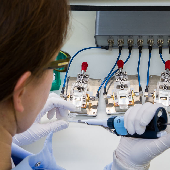 i-sense's Flusurvey collaborators Clare Wenham and John Edmunds discuss the evidence and suggest that the influenza vaccine may have been more effective during 2014's flu season, than previously estimated.